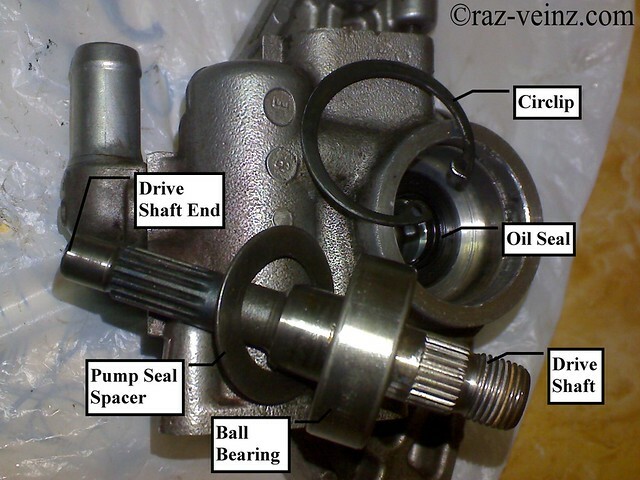 High pitched whine and leaking at the power steering pump? That only means shaft bearing failure and seals leak. No more wonder anymore, time to rebuild! 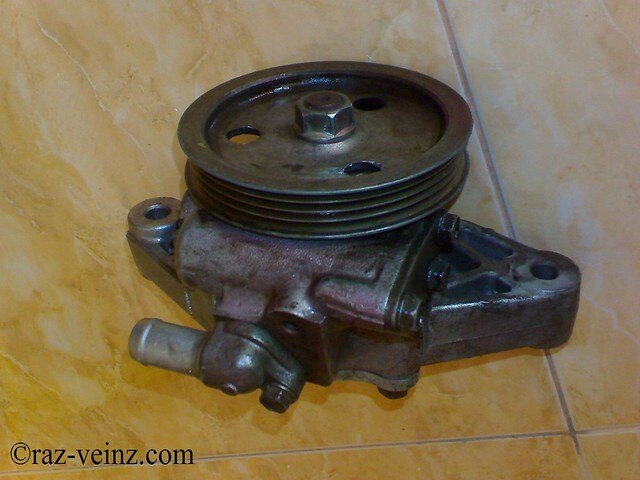 Detached power steering pump reservoir tank from bracket and raise it, cover up anything with rag, towel or paper that have probability of contact with oil. 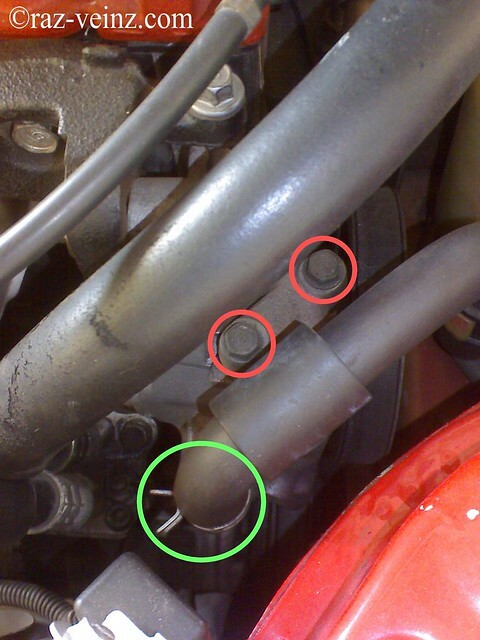 Disconnected outlet hose by remove two bolts (red circle) and undo the clamp on the inlet hose (green circle). 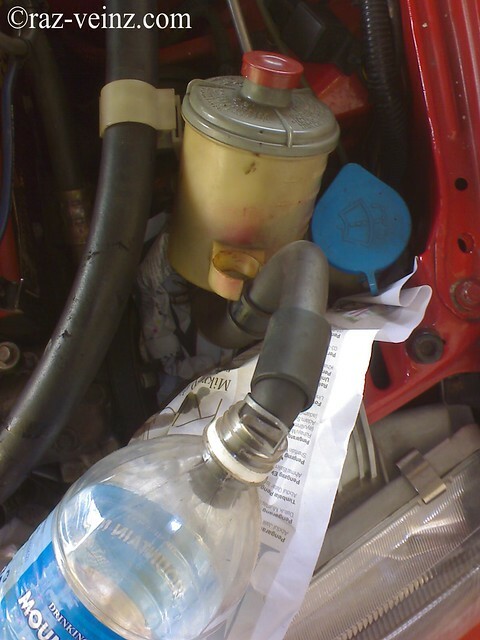 Pinch the inlet hose and remove inlet hose from the pump the put the end of hose into the bottle to drain the oil. 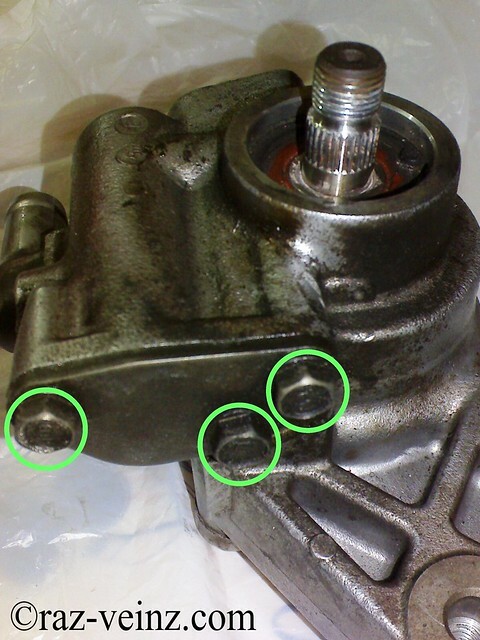 To make your life easier, crack open a few degree (about 5 degree) pump cover bolts (green circle), it’s better to do now than later (after pump out). 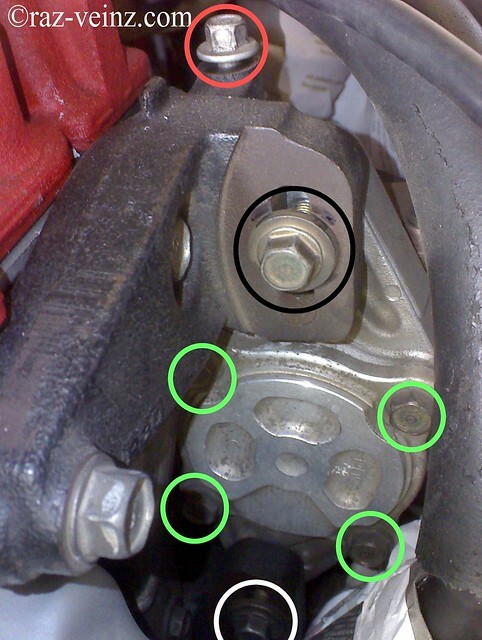 Remove the belt by loosening adjusting bolt (red circle) and remove the special bolts (black & white circle). 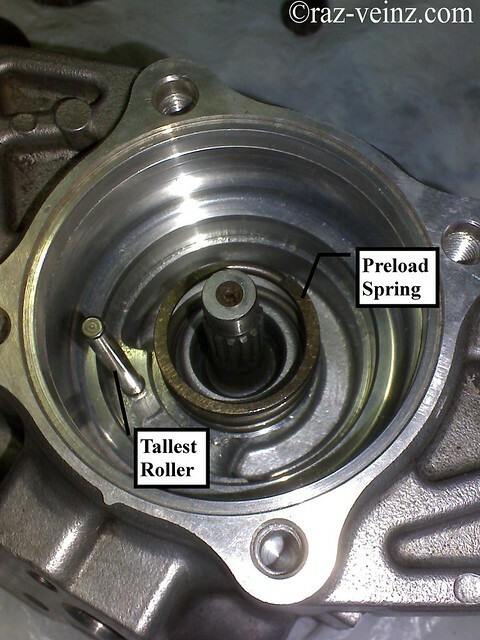 Remove the pump from the engine. 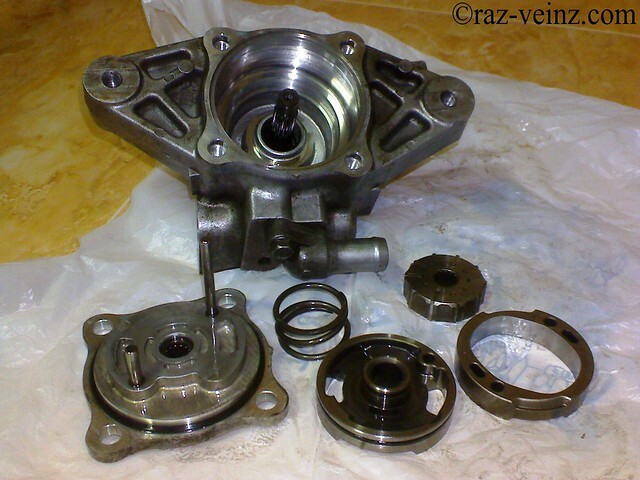 So, this the power steering pump repair kit and NTN bearing. 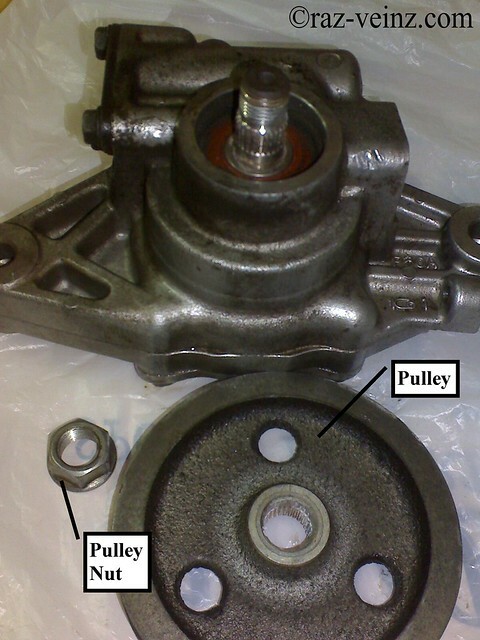 Remove the pulley by remove the pulley nut. 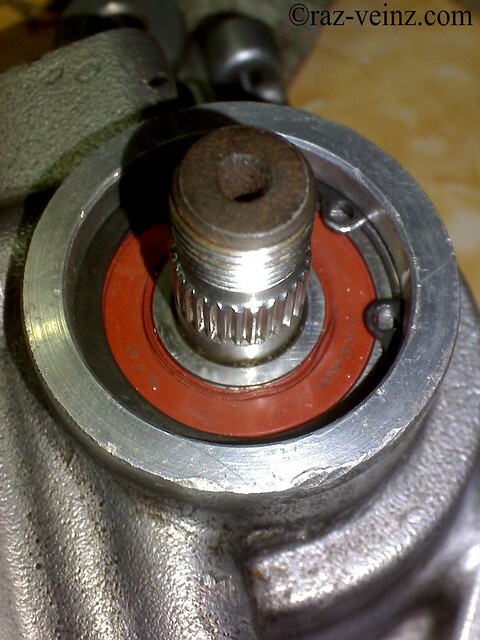 Warning: Pulley nut has left-hand threads, that mean, remove the nut by clockwise. And the nut is PRETTY HARD to remove. 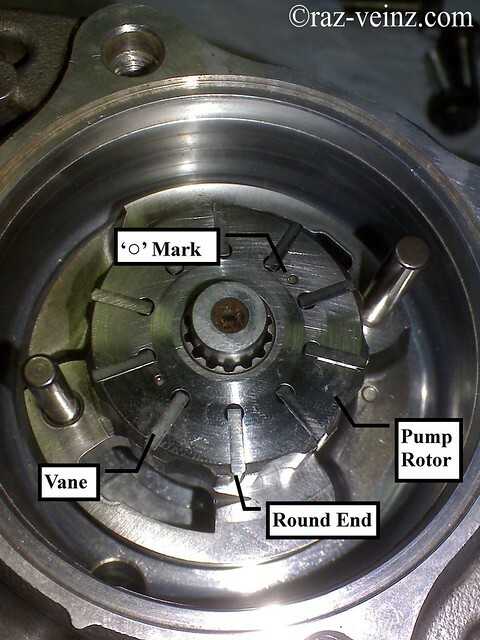 Remove the control valve cap by removing three flange bolts (green circle). 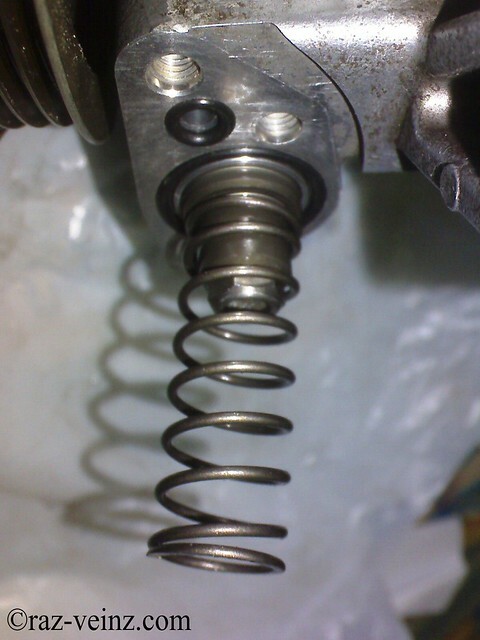 Remove the control valve spring, control valve and O-ring (replace). 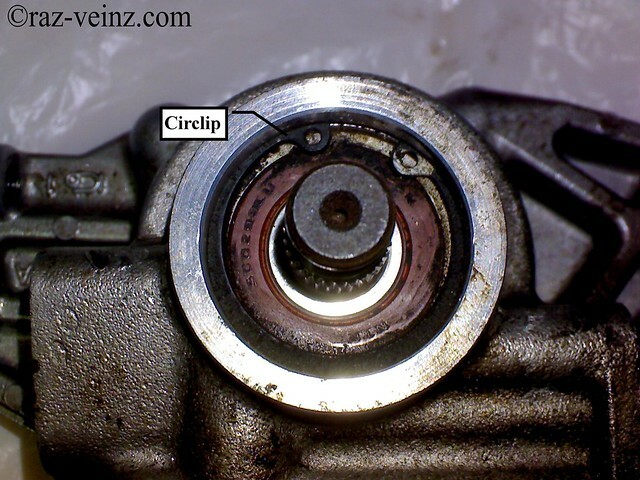 Check for wear, burrs, and other damage to the edges of the grooves in the valve. 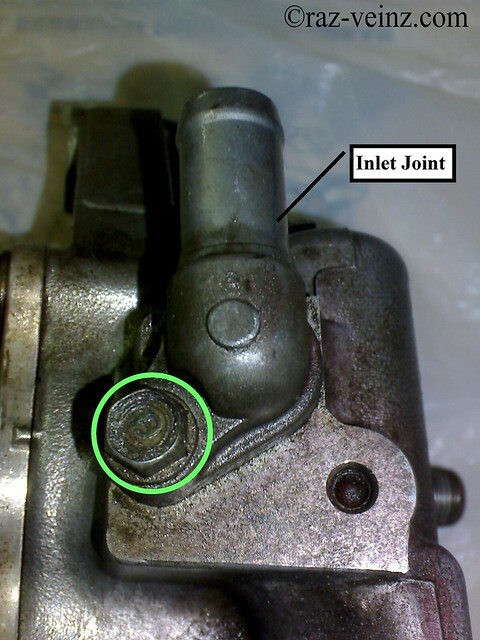 Remove the inlet joint and O-ring (replace). 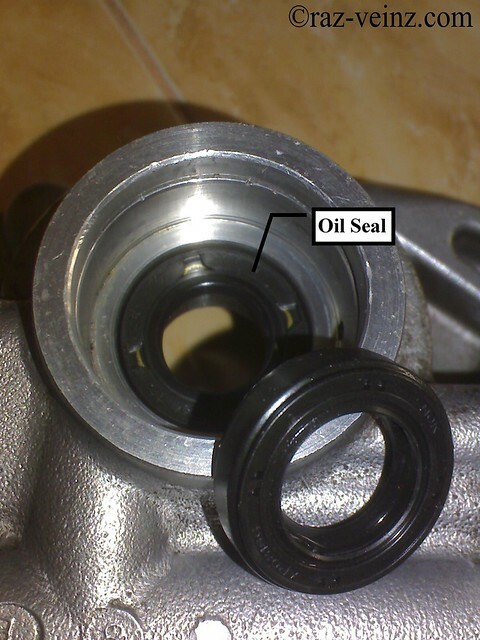 Remove the pump cover and O-ring (replace). Then remove all the inner pieces, remembering how they were placed. 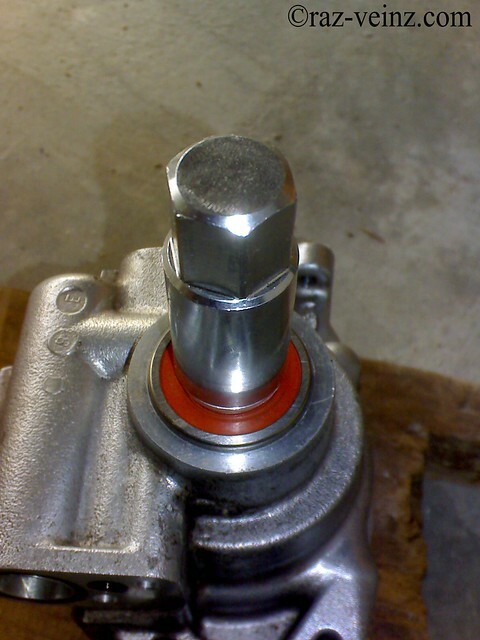 then remove the drive shaft assembly from the pump housing using a hammer, knock carefully at the drive shaft end. For me, even the bearing still play good (no noisy or excessive play), I will replace it, since it make over 4000 times marathon running and also for peace in mind. 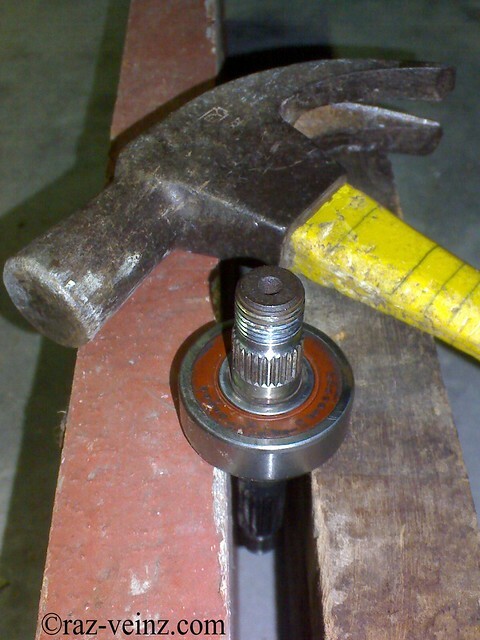 Remove by using hammer, better big hammer, don’t be shy, it will pop out, I mean, POP! 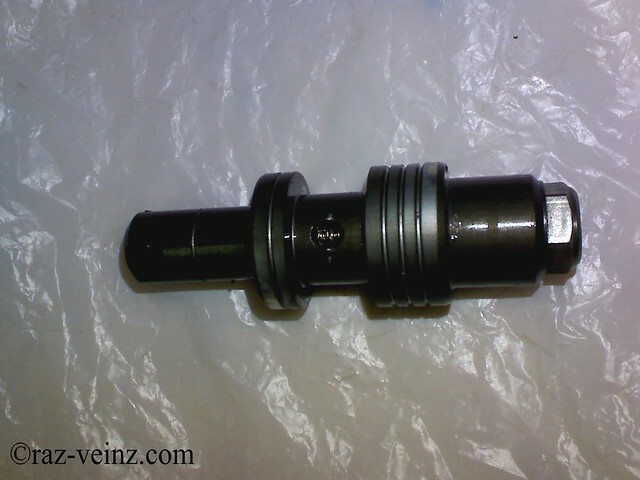 Then install the new bearing (the quality one please), the plastic side should be facing the threads. And of course, the better procedure is using the press machine. 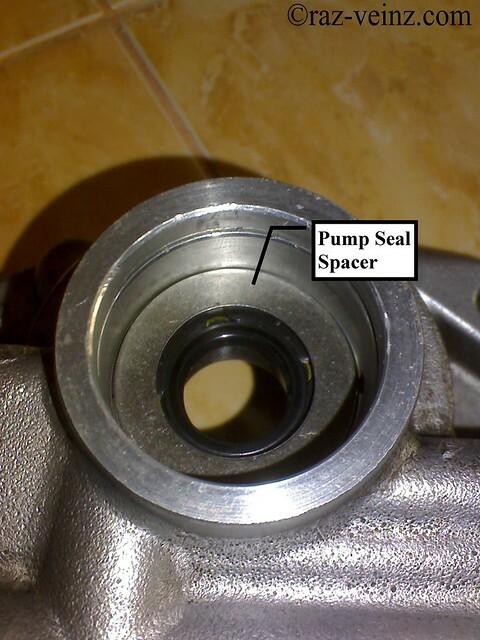 then install the pump seal spacer. Install the pump driver shaft assembly, using hammer and impact deep socket that fit enough into inner diameter, or you will break the plastic cover, and honestly, it will better if you could use the socket that really fit the outer diameter (maybe around 27mm socket that I didn’t have), but the housing is not so tight, hammer it slowly, and of course, once again, the better procedure is using the press machine. 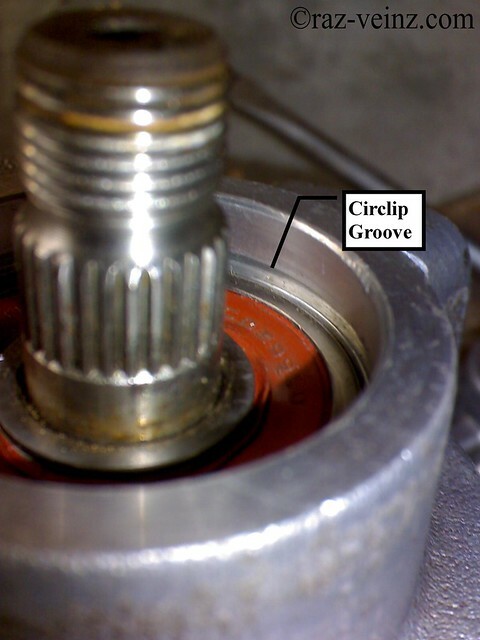 Until the bearing is completely below the circlip groove. Install the circlip with its tapered side facing out. 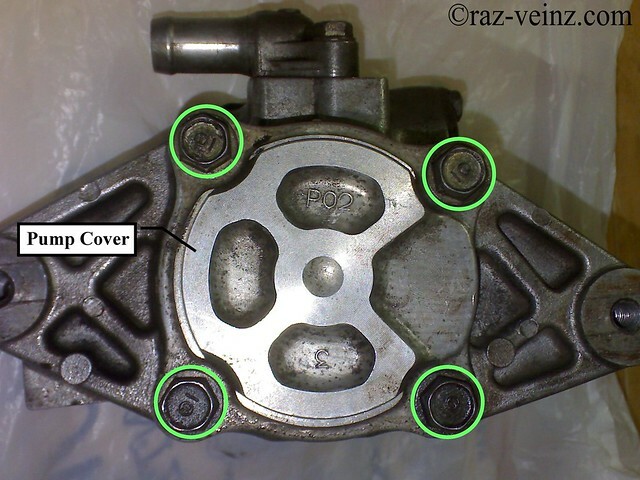 Coat the side plate grooves with power steering fluid then insert new O-rings so on for the pump cover. set the side plate over the tallest roller and install it on the pump housing with ‘O’ mark facing upward then insert the shortest roller. 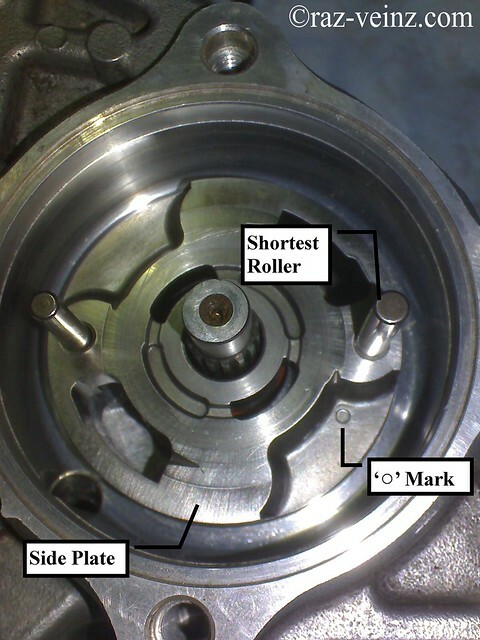 Assemble pump rotor to the drive shaft with the ‘O’ mark facing upward, set the 10 vanes in the grooves in the rotor, be sure that round end of the vanes is in contact with the sliding surface of the cam ring. 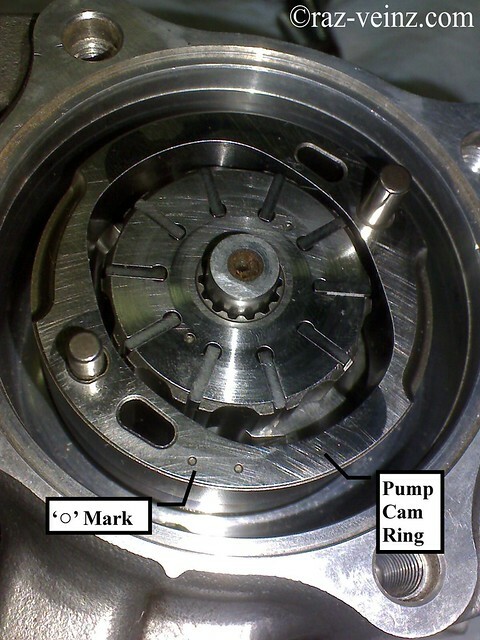 Set the pump cam ring over the two rollers (don’t worry, the holes have a different diameter) with the ‘O’ mark facing upward. 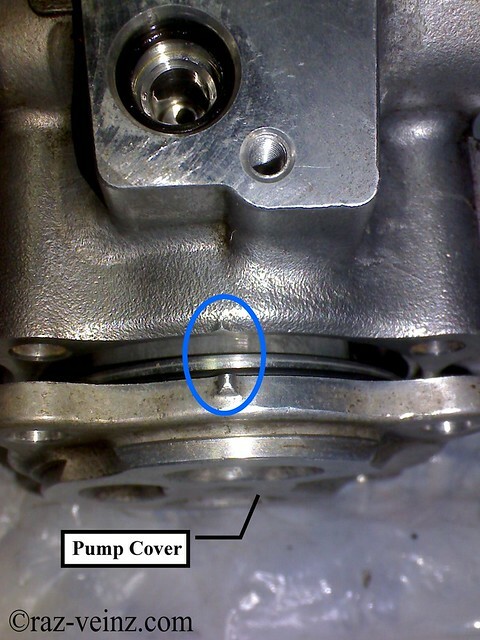 Align the projection on the pump housing and the projection on the pump cover (blue oval) and tighten the four bolts. 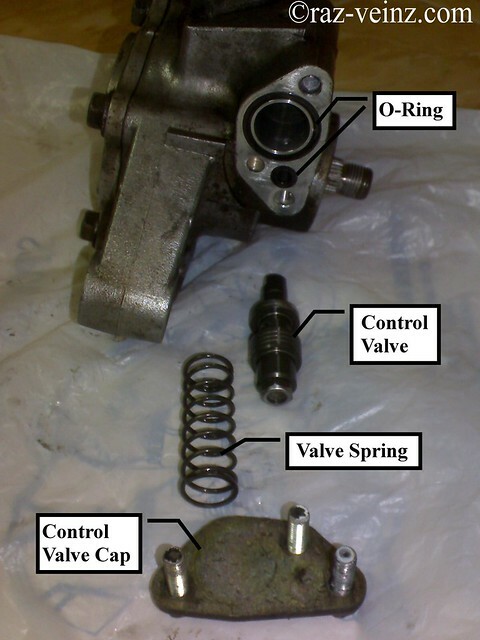 Install the control valve in the reverse order of removal. Install back the pulley and done! 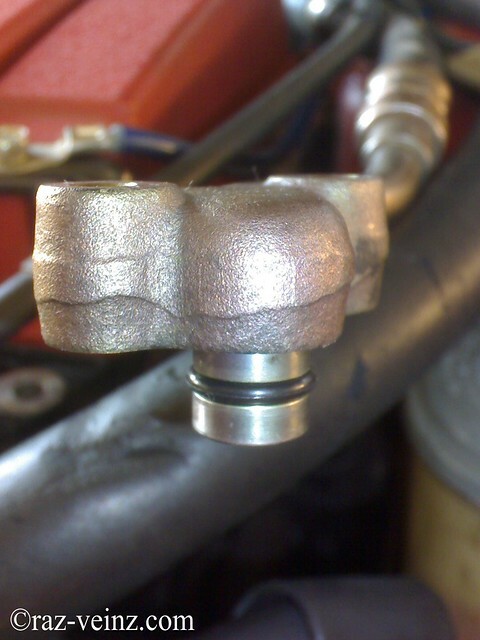 Replace the outlet hose O-ring. Install everything back in the reverse order of removal, make sure everything in their place, if there are cracks or any damage evident on the belt, replace it with a new one, turn the adjusting bolts to get the proper belt tension, then re-tighten two special bolts. 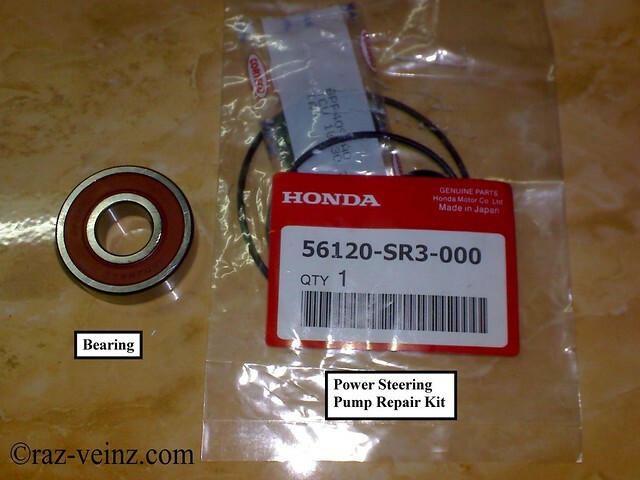 Fill the reservoir tank with the new GENUINE HONDA power steering fluid to the upper level mark. 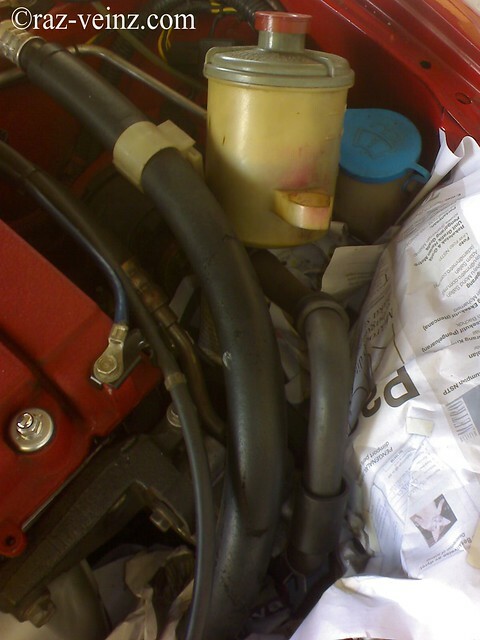 Start the engine and run it at fast idle, and then turn the steering from lock-to-lock several times to bleed air from the system. Recheck the fluid level and add some if necessary. DO NOT FILL THE RESERVOIR BEYOND THE UPPER LEVER. Stop the engine and recheck the reflection of the belt, adjusting back if necessary. 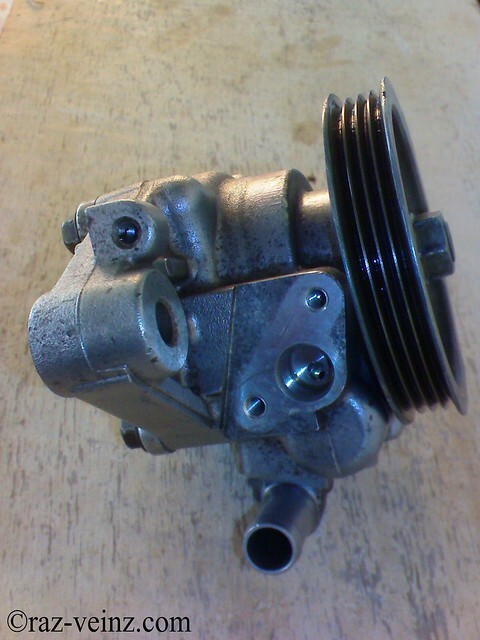 Happy no power steering pump leaking days! 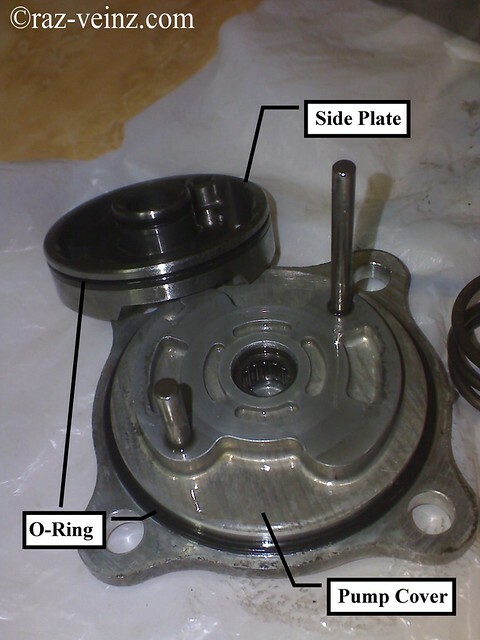 bro, like your web site….am ece by profession and would like to share my pics (via ur website) on replacing the o-ring and shaft seal of the distributor assembly – 1998 honda civic…email me back or txt me if possible…0998-987-8468….have also pics of dismantling the power steering pump of the car.